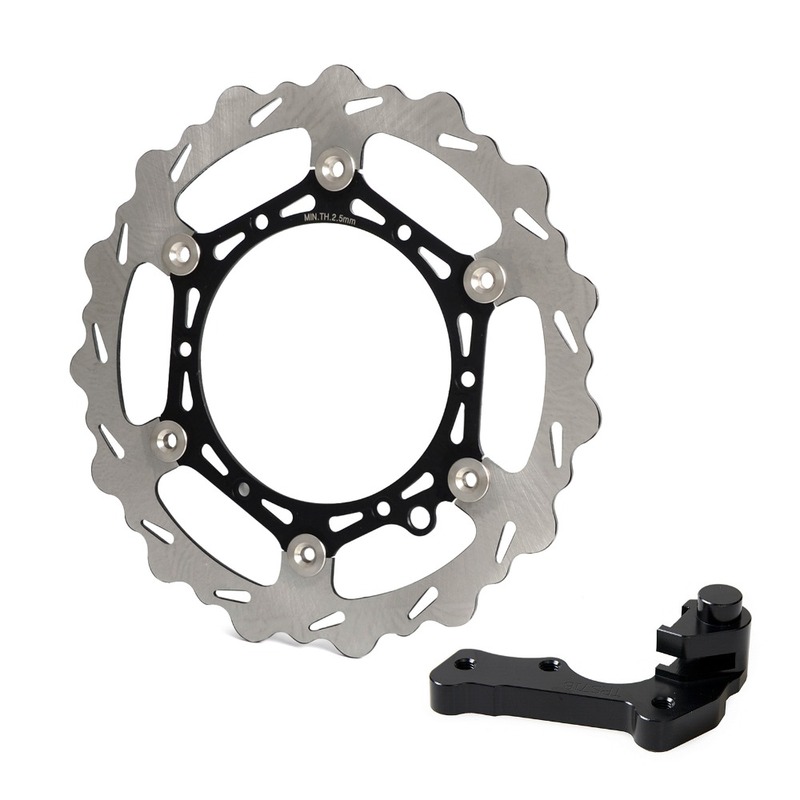 Oversize MX Brake Disc/Rotor Kit. 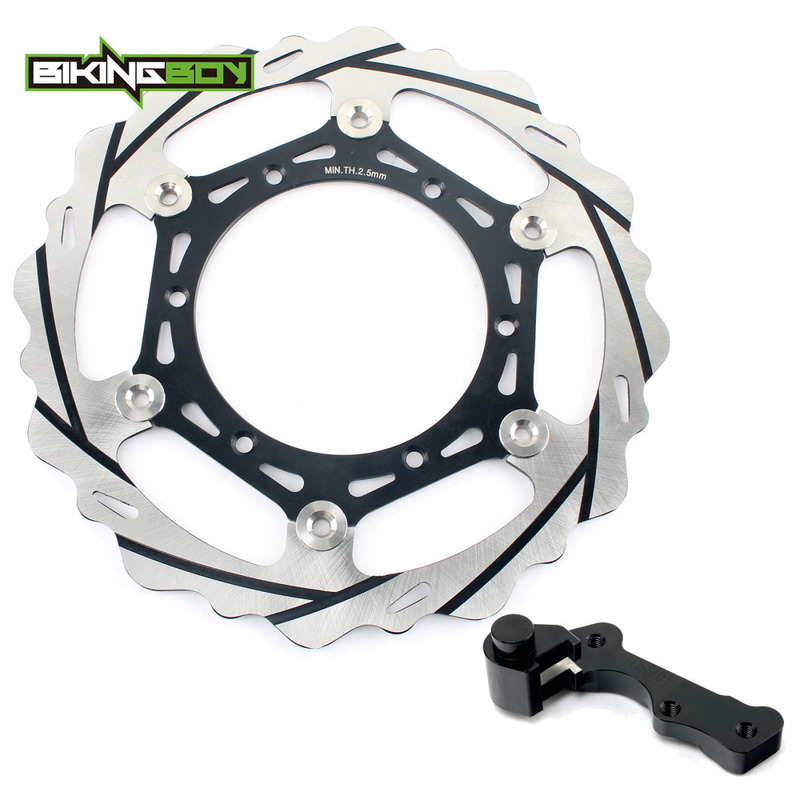 The rotors are laser-cut out from 420 high carbon stainless steel with best manufacturing process. Floating steel carrier for durability and strength, CNC machined stainless rivet & wave washer to ensure high security. 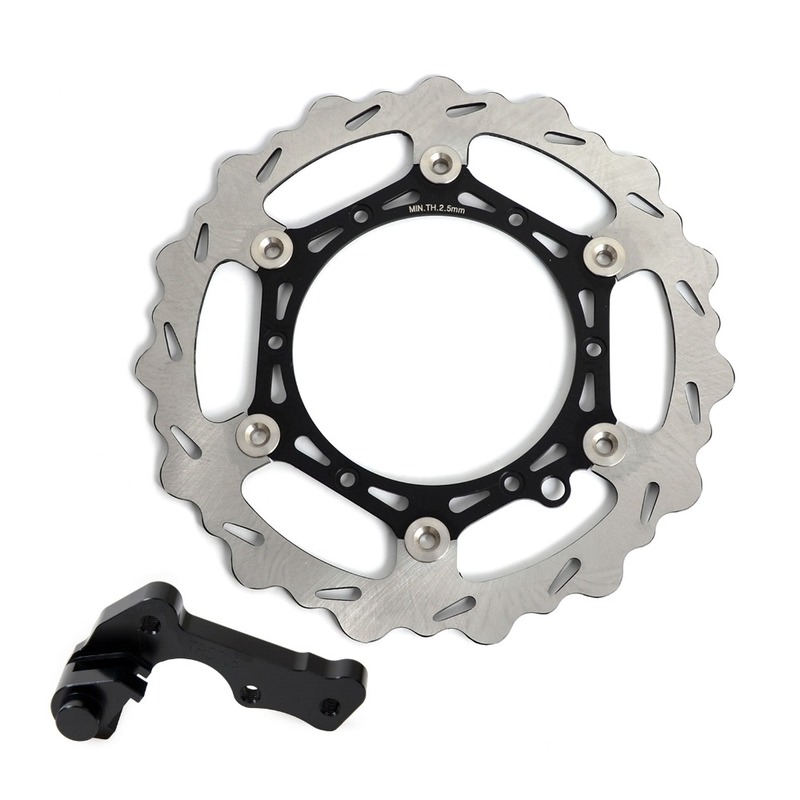 Wavy designed outer disc shape help to keep brake pads clean and dissipate heat and provides outstanding braking performance but the minimum pad wear.